Some years ago now, I attended a coaching conference where an SAS Commandos officer shared without doubt the most powerful seminar I have had the privilege of attending. The officer spoke predominantly about performing under intense pressure, recollecting an experience which should have been the last for many people. Marooned with a broken down vehicle in the middle of the Afghanistan desert, with no reserves or ammunition, the officer and his unit (3 other men) were in a precarious position to say the least. Oh, I forgot to mention – an estimated 35 Taliban militia were fast closing in on their position. With the odds stacked firmly against them and with no reinforcements to call upon, a natural and understandable feeling would be one of panic. Not these guys. Their natural instinct was automatic; developed through years and years of training – an instinct that would find a way to deal with the situation as best they could – survival. Without recounting the story in its entirety, the officer and his unit managed to construct some artificial sound effects that resembled gun fire from their spent ammunition, preventing them from being outflanked and keeping the militia at bay, and in doubt for over two hours until the cover of darkness provided some respite, and eventual escape. It goes without saying that sheer grit and a refusal to give up saved their lives that day. Turning the focus to a sporting context, can you think of a time when either you or your players were in a precarious position in the game? A position that looked almost hopeless, with no foreseeable change in fortunes? When I think back to some of elite sport’s collection of heroic performances a few spring to mind in particular; Roger Federer’s scintillating backhand returns in 2008 at Wimbledon to defy Rafael Nadal not once, but twice at Championship point on his way to battling back to a fifth set. South African cricket captain Graeme Smith returning to the crease to help his country battle for a draw after breaking two fingers against Australia in 2009; Liverpool and Manchester United’s memorable Champions League victories after coming from behind in 2005 and 1999 respectively also fit the bill. More recently, English Rugby’s dogged determination to claw a series whitewash in Australia and Wales’ frantic defending against Belgium in the European Championships demonstrate a strong willed mindset to achieve in adverse circumstances. 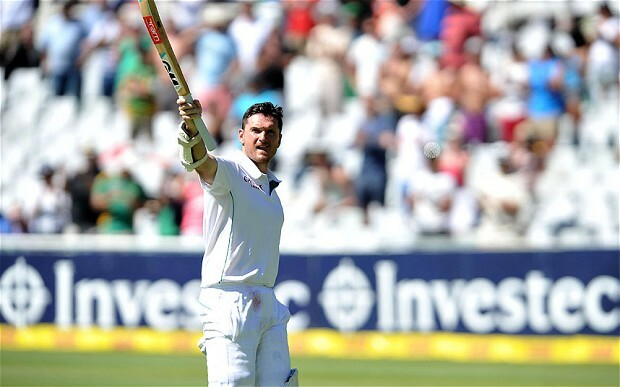 Graeme Smith was regarded as a notoriously gritty character – one of the best in the modern cricket era. Whilst a level of technique proved essential to all of these sporting moments – a world class level at that – a certain characteristic can be found in all of them which has already been mentioned thus far: grit. As psychologist Angela Lee-Duckworth explains grit is “passion and perseverance for long term goals. It’s about having stamina and sticking with the future, day in day out not for weeks or months, but for years.” Indeed, when you look back over some of those sporting examples in the paragraph above, or when recollecting any memories of your own that spring to mind, you can imagine a young 12 year old Federer practising to save match point in his back garden, or a young Jonny Wilkinson dreaming of kicking the World Cup winning drop goal before surrendering himself to an obscene amount of practice hours in years to come. Ultimately, it’s about how much grit these guys have both behind the scenes, and then on the field in front of the whole world. You might say, ‘hang on a minute – these examples are guys which are extremely talented in what they do’. Of course they are; there is little point denying it. But the relationship that talent and grit share is perhaps not what you might expect. A study conducted in the United States into rookie teachers showed that those working in rough neighbourhoods displayed higher levels of grit than those working in more affluent areas; another study investigating scholars at West Point Military Academy showed that the ones highest in grit were actually those who were perceived as less talented. In fact, the large majority of studies into grit and hardiness convey that talent doesn’t make you gritty at all; on the contrary grit tends to be inversely related to talent. I’m sure most of us have come across the athlete that appears naturally gifted with certain attributes, but their attitude prevents them from unleashing their full potential, just like we’ve come across the player who is not quite the finished article but ensures that no stone is left unturned to improve. Roger Federer has shown many times throughout his career tremendous resilience and grit when the odds are against him. Hopefully the importance of having grit in sport, and indeed life in general has been established by now. That’s all well and good, but how do we build grit? How can we coach it? Essentially it comes down to a few simple things – establish some strong goals with clear aspirations of where the individual or team want to get to; identify what is required for these goals to be achieved in terms of performance be it a certain qualifying time for an athlete, a number of runs for a cricketer, or a certain rating as a tennis player. Work back to the skill based element now, and think how these times, runs or ratings can be achieved. What technical improvements are required to give you best possible chance of achieving your goals? Along the way cognitive and physical challenge is inevitable but if you’re adaptable, and prepared to work as hard as is necessary everyone has a chance. Welsh manager Chris Coleman spoke about perseverance in the face of adversity. So next time you look around your group of players, ask yourself (and them most importantly!) – how gritty are you? How badly do you want this? You might get a variety of responses, no doubt many hands nonchalantly going up as if it’s an easy question, without understanding what hard work really means. It doesn’t really matter, because you’ll be able to see who the gritty ones are – they are the ones who are usually the first ones there and the last to leave. They are the ones who have the potential to make the jump from good players to outstanding players. And, who knows…..grit may or may not be the difference between losing your life and keeping it. It certainly was the case for the SAS officer and his unit.